Inspiring even more people to create games! Earlier this month, I had a chance to talk with a few esteemed friends—Emma Larkins, Joseph Z. Chen, and Matthew Austin—about turning ideas for tabletop games into something that people can actually play. The experience was both fun and surreal. 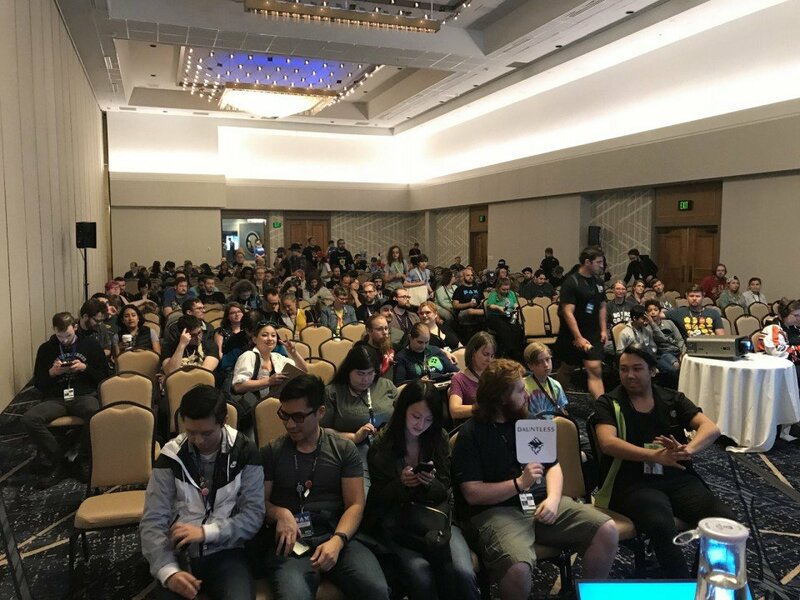 It was the second time I had spoken, as a panelist, and the first time I organized the panel myself—the first time was, oddly enough, in the same room, talking about defining a new tabletop game canon. My son 13yr old son should getting in line he wants to attend! But beyond this and a few people lining up early to get into the panel waiting room, I decided not to worry too much about numbers as I entered the panel room. After getting all the AV set up, we were ready to let the convention-goers in. A rush of people came in eagerly filling different parts of the room. By the time we started, the room was almost packed. I started with a brief overview, followed by introductions, before heading into the meat of our panel. I talked for little bit about ideation, where to come up with ideas for games, figuring out what ideas to work on, etc. Little jokes here and there with laughs from the audience let me know that we were on the right path. Soon enough, Emma was giving her bit about prototyping, followed by Joseph taking the helm on playtesting, and finally Matthew on Publishing. Each step of the way, we all interjected with helpful bits of information as audience members laughed, nodded, and some even eagerly wrote notes. By the time I knew it, our panel was almost over. I opened the floor up to questions. Members of the audience lined up to ask some very great questions. I don’t think there was a single question that we couldn’t answer, which I was very happy about. Sadly, we didn’t make it through all of the audience questions, but we did stay a bit after the panel. There was a loud round of applause followed by lots of chatter as people filed out. 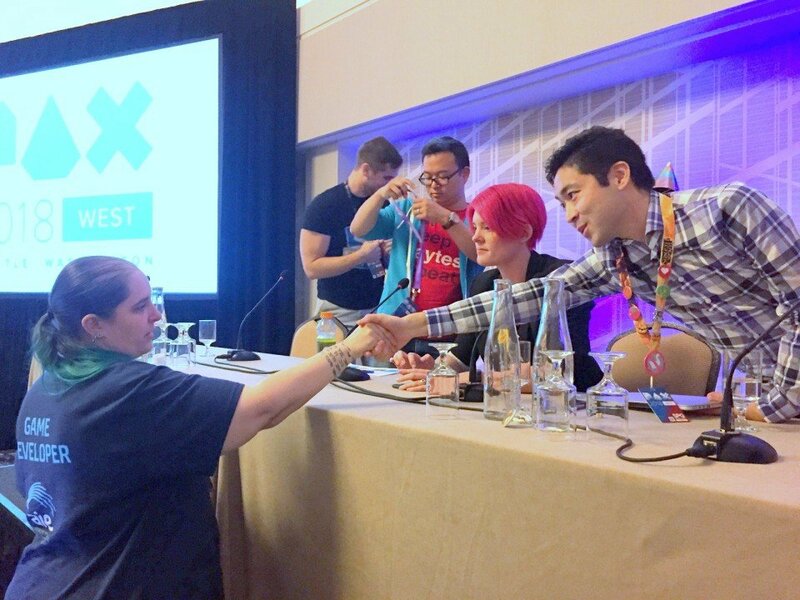 One audience member came up to thank us for giving this panel before we headed to the lobby, while others stayed to say thank you in the lobby. I can’t wait to hear more about the games that we inspired to create that day. Thanks again to all the great people at PAX. Looking forward to the next opportunity to help more people in the future. 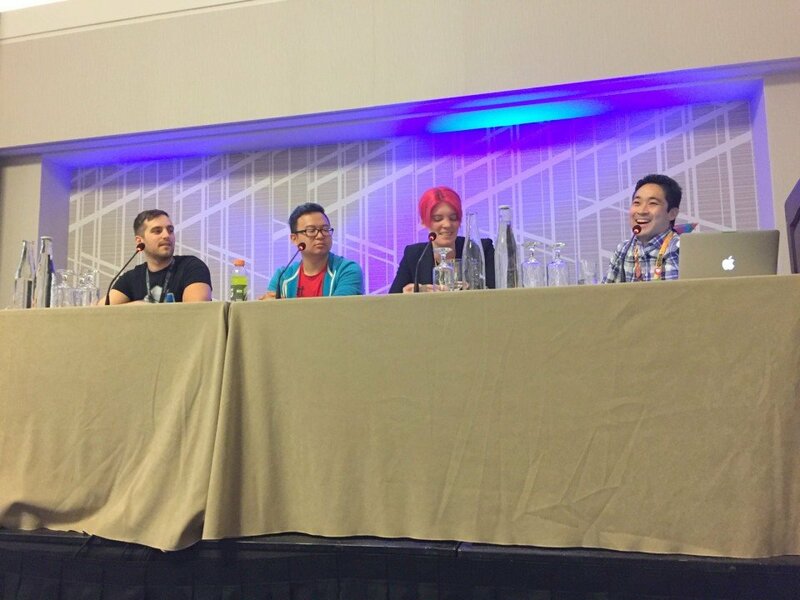 PS: I hope to get more information about this panel up in the future including (fingers-crossed) a video of it. Stay tuned for more!